Hanoverian horse created by Joan Sallas, on display in the Public Dining room of George I at Hampton Court Palace. Table decorations were another way George I exhibited kingship and magnificence. The napkin of today is a straightforward affair, but during the Georgian era the art of napkin folding became a popular and fashionable display at the dining tables of the elite. Elaborately folded linen napkins formed large centrepieces for sumptuous dinners, especially at the German royal court. 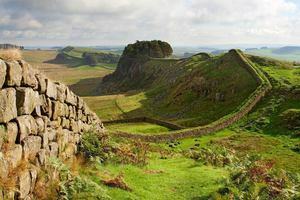 It was not long before George I implemented this custom in England. During the reign of George I, James Davenant was employed at Hampton Court Palace specifically for ‘Damask napkinning’. 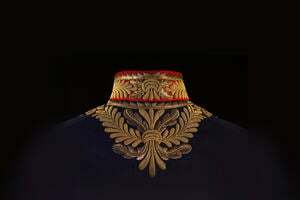 Although it is unclear whether this refers to a type of fabric, or a skill, it became not uncommon to employ a specially trained napkin folder to deliver splendid displays for the royal table. There is also evidence that scented waters and sweets were included as part of the presentation, showing how elaborate this practice could be. With napkin displays George I could show off his power through extravagant napkin animals, birds, fruit, vegetables and even miniature fountains. Figure 1: Different napkin designs from Georg Philipp Harsdörffer’s 1657 work Vollständiges und von neuem vermehrtes Trincir-Buch a guide to etiquette and display for the dinner table. The design of napkins used at the court of George I developed from a tradition established in Germany as early as the mid-17th century. 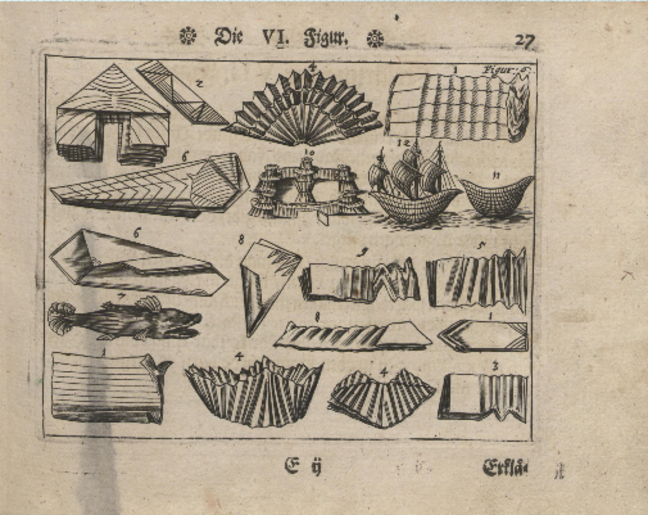 Instruction manuals such as Georg Philipp Harsdörffer’s Vollständiges und von neuem vermehrtes Trincir-Buch of 1657, and Andreas Glorez’s Neuangeordnete vollständige Haus - und Land-Bibliothec of 1701, highlighted napkin folding as a presentation of prestige and the correct etiquette surrounding public dining. These folding guides exemplified intricate and complicated designs. 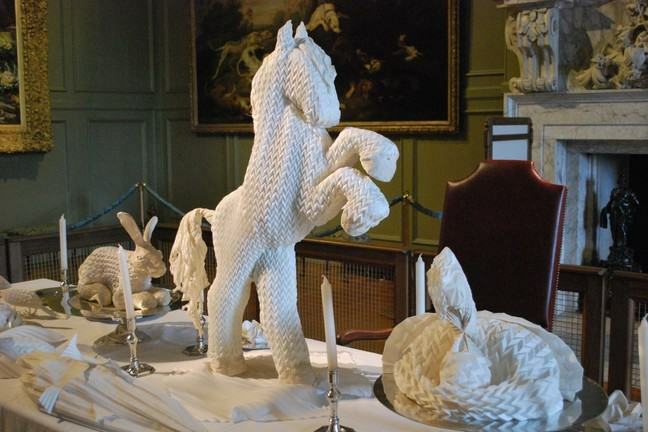 Some of these models can be seen on display in the public dining room at Hampton Court Palace, as reinterpreted by the artist Joan Sallas, who has extensively researched the heritage of German napkin folding. Before trying your own napkin creation, why not be inspired by Sallas at work in this clip on Youtube, captured at Waddesdon Manor. 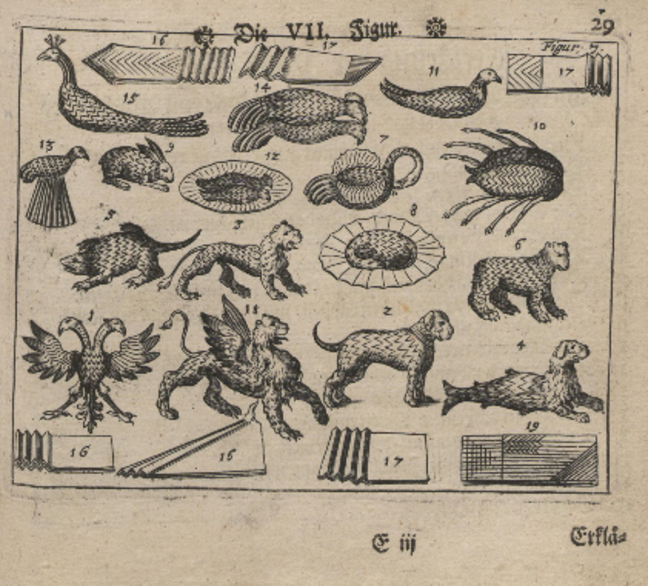 Figure 2: Animal designs from Georg Philipp Harsdörffer’s 1657 work Vollständiges und von neuem vermehrtes Trincir-Buch. Now it’s your chance to make your own folded napkin. Events such as Christmas would have provided a perfect opportunity for elaborate table decorations, so why not try making a napkin folded turkey as a centrepiece for your festive feast. You can find instructions available at the bottom of the Step if you would like to try this at home, and don’t forget to share your creation on the Padlet Wall. 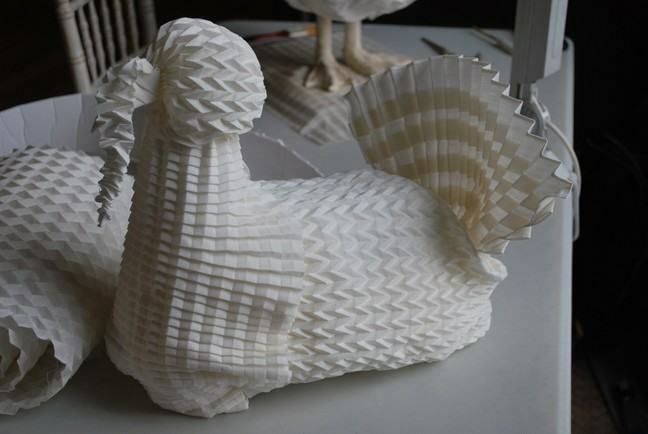 Figure 3: Intricately-folded turkey by Joan Sallas on display in the Public Dining room at Hampton Court Palace.